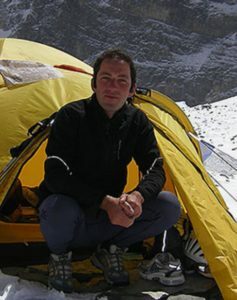 Sergi Mingote is a college sports teacher in Barcelona, Spain and a professional mountaineer. This summer, he climbed to the summit of Broad Peak at 8,125 metres and K2 at 8,611 metres in just seven days, without supplemental oxygen, a feat that only seven other climbers have achieved before him. Nine other climbers have reached the summit of both the peaks in seven days but they did carry bottled oxygen with them. Mr Mingote climbed Broad Peak, the 12the highest mountain in the world, on July 16 this year and the second highest, K2 on July 23, 2018. 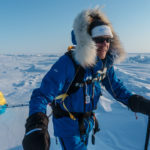 He has climbed other 8,000 metre-plus mountains as well including Mount Everest, which he has already climbed twice before and plans to do so again next year for the third time. Dawn caught up with Mr Mingote to talk to him about his climbing career. Q: How was your experience of climbing both Broad Peak and K2 in such a short period? A: I am working on a project of climbing six peaks above 8,000 metres in one year. I made the push for the Broad Peak summit on July 10 but the bad weather forced me to retreat to my tent in one of the camps. But luck was on my side on July 16 when the weather was clear and I was the first to reach the mountain’s top. Four other climbers followed including my team member Luis Cortadellas. We descended and reached Broad Peak base camp on July 18. I hiked straight to K2 and without stopping at base camp, went straight to camp-I on July 20. 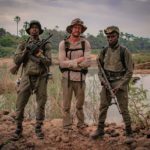 It was more than a 12-hour trek. 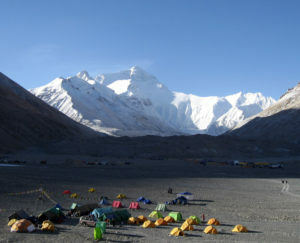 The next day, I climbed to camp-III and reached camp-IV on July 22. That night, at 9:30pm, my porter and I left the camp at 7,800 metres for the summit and at 9:30am on July 23, we were at the K2 summit. Q: How difficult were the last 1,000 metres on K2? A: July 23 was the last day for a summit push as after that, the weather was expected to deteriorate indefinitely. It was the last chance. Every other expedition had gone to the summit and descended to the safety of base camp. It started snowing around 4am which made climbing harder. The snow was knee deep. At that altitude, there is only 30pc oxygen. I had to stop after every three steps, or 20 seconds, for a minute to catch my breath and then take another three steps and stop to breathe again. Strong winds had picked up on the summit and we could only stay for 10 minutes. But those 10 minutes on the summit felt like eternity. I had the peak to myself since everyone had left. You can never get that feeling on Mount Everest, of having the entire mountain to yourself. Descending was harder than climbing. Fresh snow had covered our tracks and the ropes and fog made visibility very poor. We got lost for four hours till I spotted tiny flags almost buried under fresh snow. Q: Tell us more about this project you have undertaken. A: The project is called 3x2x8,000. The plan is to climb six of the highest mountains over 8,000 metres in a year. Now that I have climbed Broad Peak and K2, I will fly to Nepal in September and climb Makalu and Kanchenjunga. Next summer, I will return to climb Mount Everest and Lohtse, the third highest mountain in the world. 1 Comment on "‘For 10 minutes, I had the K2 peak to myself’"